What makes scraps trash removal service better? Scraps curbside trash pickup services aren't your average garbage removal services. We come straight to your back door to pick up your trash. Now you'll never have to worry about missing your For Mill garbage pickup again! We have the most convenient and reliable trash removal service in Fort Mill, South Carolina. 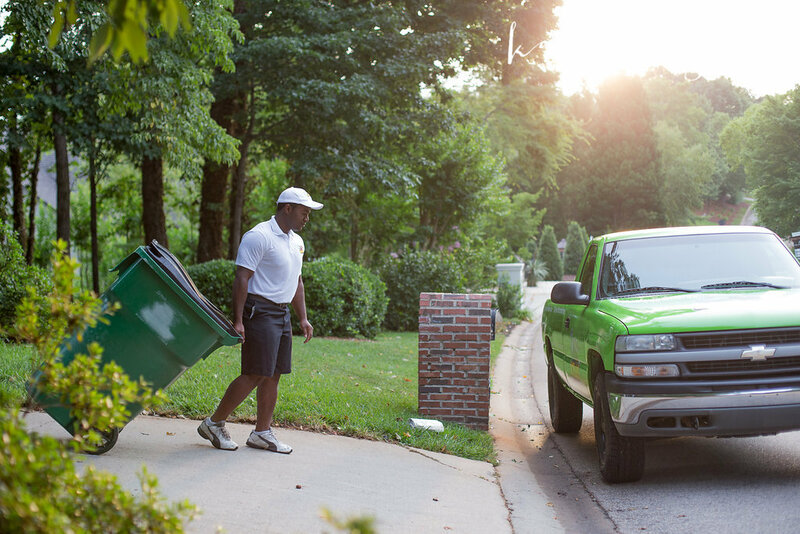 Scraps Fort Mill trash pickup services a more convenient experience. We have great monthly rates, a set and reliable schedule, and the best customer service for trash removal in Fort Mill, South Carolina. Scraps trash pickup services in Fort Mill is a higher quality service. We come straight to your back door to pickup your trash. That way, you never have to worry about forgetting to bring your trash out again. Take a look at Scraps trash removal services. Scraps Trash Pickup Service can remove exactly the type of trash you've got. We offer a wide variety of curbside Fort Mill residential pickup services, making it easy for our customers to discard waste and recycle from home. Your trash pickup service in Fort Mill, South Carolina up on time is as important as the lights coming on when you flip the switch or water flowing when you turn on the faucet. You can depend on the our Fort Mill SC trash removal service. Our trash pickup in Fort Mill offers a professional and friendly local company that's dependable and affordable. Fort Mill is one of the fastest growing communities in York County, SC. That can make it quite complicated to find the right trash removal service. We have all had the irritation of bringing out that heavy garbage pale out in the cold, or waking up at the crack of dawn to a huge noisy garbage truck. Is there anything we can do about it? Yes! Scraps makes picking your trash removal service in Fort Mill an easy choice, that doesn't break the bank, or your back. What's our process of trash removal in Fort Mill, SC? No longer will you have to lug that heavy garbage pale to your curb, and no longer will you have to wake up at 6 am only to the noise of the giant garbage service truck. Scraps trash removal in Fort Mill South Carolina, will pickup your trash wherever it is most convenient. You'll be able to leave your trash right in the most convenient area for you, and we'll come pick it up. Then we throw it in our quiet truck and trailer, and keep going. It may be harder for us, but we don't mind using a truck and trailer instead of a large garbage service truck, because we know it saves your sleep!